The Arabian Nights, containing as it does examples of framing, self-reference, hidden patterns, recursion, and intertextuality, has become a source of modernist fiction, which artists can imitate, invert or parody. The purpose of all fictions is to create a believable world, a world that is homogenous, feasible and therefore “acceptable”. There are various techniques, or rhetorical resources available to the writer of epic, novel or short story through which he can impose his fictional world upon the reader. Upon these techniques depend the entire strength and quality of the illusion built in the reader’s mind. One of the traditional techniques in the art of storytelling has been the device of the “framed narratives” or the telling of one story within another. This is a technique that has not only endured from the traditional to the present times but has also been popular both among the cerebral artists as well as the less self-conscious storytellers. “Frame”, “Chinese box”, “Russian doll” or “embedded” narrative is how it is variously labeled. A frame story may either contain another tale, story within a story; or a series of stories. The use of the frame-tale technique allows a narrator to tell tales endlessly. One tale may frame another tale, which in turn may frame another, suggesting the possibility of an infinitely prolonged descent through tales within tales. Typically, a framed narrative keeps postponing its arrival at any terminal. Once plunged into the potentially infinite sequence of stories within stories the audience rarely wants to find their way back from this fascinating labyrinth. The pleasure of a framed narrative lies not in the containing narrative but in the contained narratives. Indeed, the main narrative may even be irretrievable in the maze of stories that are added to it. As the text gets deeper, we might lose sight of the first story as also the first teller because the characters within stories begin to tell other stories and so on, even though everything is still contained within the first story. The ancient, oriental story-collection called The Thousand and One Nights, which we are all familiar with is a classic representative of the use of framing technique. The use of tales-within-tales is the hallmark of this wondrous narrative of fantastical imaginings. 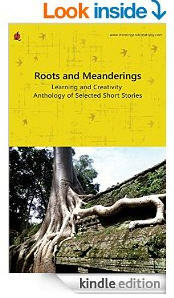 This anthology of tales is woven into the story of a courageous young woman called Sheherazade. King Shahriyar, having discovered that his wife has been unfaithful to him is inflamed. Thereafter, with the intent of taking revenge on all womankind, he marries a girl everyday. Having deflowered her in the night, he would invariably get her killed the next morning. Then, comes the turn of the lovely Sheherazade. She asks the King that her sister, Dunyazade may be allowed to attend her. Finding an opportune time at night Dunyazade asks Sheherazade for a story. Sheherazade obliges her with `The Story of the Trader and the Jinni’. However, the shrewd Sheherazade keeps the end suspended and the King is forced to postpone her killing. The following night again Sheherazade does not complete the story, for she begins another one inserted within the first one. And so it continues, night after night the resourceful Sheherazade keeps telling the King enchanting stories ingeniously connected. The King always captivated by the story, always eager to know the end postpones the killing everyday. Finally, by the time one thousand and one nights are over, Sheherazade had become mother to three children and Shahriyar cured of his resolve to kill. Thus, Sheherazade saves her life from Shahriyar’s murderous misogyny by bewitching him with a myriad of tales within tales spun over one thousand and one nights. In The Arabian Nights not only does Sheherazade tell stories, but also some of the characters in her stories narrate stories, and some of the characters in the narrated stories in turn tell stories. In the story of The Porter and the Three Ladies of Baghdad’, the Porter, three Kalandars, the eldest lady, the portress, and the procuratix are all characters. In order to save their lives the porter and the three kalandars must recount their respective adventures, which led to their visiting the three ladies of Baghdad. Within his story the second kalandar tells another story – ‘Tale of the envier and the envied’. Finally, when Kaliph Harun-Al Rashid invites the three ladies and their guests to the court the next day, the eldest lady and the portress narrate their own histories to explain their strange behavior the previous day. The most notable example of this boxing or framing technique is the Hunchback cycle of stories. In this not only does the Reeve, the Jewish Doctor and the Nazarene tell tales but the tailor also tells a tale told to him by a lame young man and this lame young man’s tale includes within it the tales of the barber and the barber’s stories of his six unfortunate brothers. The labyrinthine structure of The Arabian Nights becomes so intricate that it is difficult to realize where one stands, where one had been or where one will be; led by the perplexing and dizzying world created by these stories of The Arabian Nights. The Arabian Nights is a long and variegated story collection with a complex history. It has never been a monolithic and fixed collection of stories. The earliest references (9th and 10th century) are to a basic frame-tale and a small nucleus of stories apparently of Persian origin. Over the centuries it evolved, as storytellers continued to add folk tales, anecdotes and fables to the earlier corpus, until it reached its present form. Previously independent sagas and stories were added. Most of the stories contained in The Arabian Nights are derivatives, replications, inversions or analogous versions of the stories already circulating. Each translator/compiler has in a way created his own collection. Each translator has interpreted and imitated the stories in his own way, and each has added some and deleted other stories. 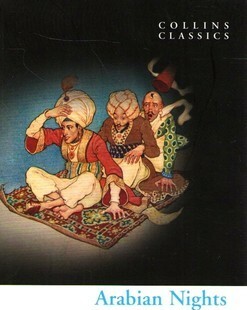 Stories kept being added to the original core as late as the early modern period so that the text may be brought up to its translations promised length of one thousand and one nights. Also in the later translations some of the older versions of stories were modernized. The history of The Arabian Nights is important because this organic aspect of the corpus, which its history reveals, is an important clue to the poetics of narrative in the collection. The most essential point to be examined here is that the nature of the text itself generates stories. Indeed, this collection has been called a `marvelous story-machine’. The `framed narrative’ is by essence self-generating and self-perpetuating. It is inherently recursive and open ended and therefore, there is a possibility of an infinite text. Just as it is possible to have an infinite sentence by inserting within a most basic sentence, an infinite series of subordinate clauses, so also there is a possibility of a potentially infinite book by embedding subordinate narratives within the main narrative. In The Arabian Nights 1001 is the number of infinity. A frame closes the story it contains only to usher in a new one, thus enabling the narrative to perpetuate itself ad infinitum. A framed narrative can also perpetuate itself and establish its infinite nature through explicit self-reference or what is known as self-embedding. According to an essay by an Argentinian writer Jorge Luis Borges, this phenomenon occurs on the 602nd night of The Arabian Nights. On this 602nd night Sheherazade begins to tell the King the story of Thousand and One Nights all over again, she herself enters her own story, and at the same time continues to tell it. The embedding story itself gets embedded. The King hears from Sheherazade curiously his own story from the beginning which includes all the others and also itself! When this happens the narrative doubles back upon itself like a continuous and uninterrupted, Moebius Strip emblematic of recycling of elements. However, this phenomenon is paradoxical in the sense that if the ‘frame-tale’ is allowed to continue along its recursive course, if the frame is actually looped like this, then what will happen when the story reaches this point again. If Sheherazade is permitted to persist in this fashion, then there can be no six hundred and third night ever!! Today, The Arabian Nights continues to develop and evolve. From the written word it has successfully metamorphosed into films. We now have many film adaptations of stories from The Arabian Nights. The inspiration of The Arabian Nights has not only lead to the creation of new novels by intellectuals and great artists but also serves to entertain the mass audience through films. This ‘story-machine’ continues to churn out stories, adding new ones and duplicating the old ones into varied forms. Nobody knows when the Arabian Nights were initiated or when they will be wrapped up. This criticism was first published in Meghdutam.com (between 1999 to 2002).